Done Cheaply or Done Well? 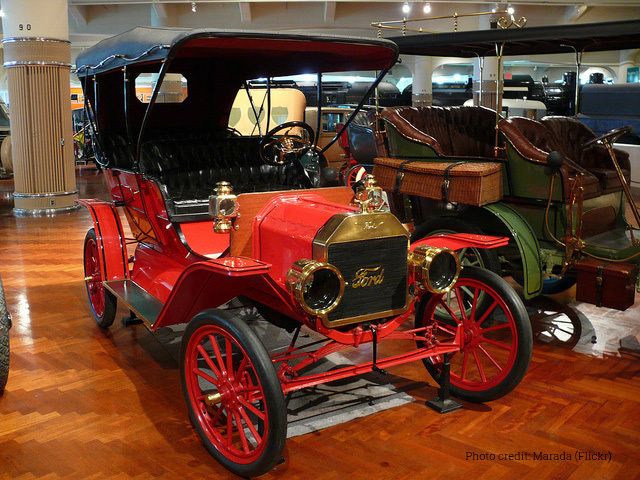 Godin uses Henry Ford’s machination of the automobile as an example. He shares that Ford and his employees learned their potential customers weren’t necessarily interested in the cheapest car; instead, “they wanted a car they could be proud of, they wanted a car that was a bit safer, a bit more stylish, a car built by people who earned a wage that made them contributors to the community.” In other words, they wanted the car that was right for them and answered their needs. Price was secondary. At Callcap, we see this scenario play out every day. Our customers choose who they do business with based not only on cost, but on value. If you want to do business based on who’s the cheapest, we may not be your best bet. But, without a doubt, if you want a proven system for your business—a solution that takes care of you and your customers and boosts your profits—we will be able to help you. Whether you’re a major corporation, a franchise looking to manage multiple locations and agents, or a mom-and-pop shop looking for ways to save money and track your advertising leads, we can help. Understanding your needs, and then doing our best for you each and every time, is what we’re known for. Caring about our customers’ successes is who we are. That principle is why our business continues to grow. We’d love to join you on your journey to satisfy customers. Give us a call or contact us about how we can help.